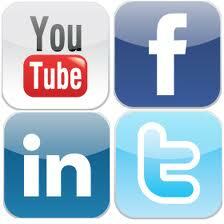 SOCIAL MEDIA MANAGEMENT start at $100 a month. RUN ADS ON THIS SITE STARTING AT $100 A MONTH! Call 678.724.2324 for details and to get set-up Today! complexities of running your virtual office. THIS SITE RECEIVES 7500 VIEWS MONTHLY AND GROWING! * Ask about our Personal, Business, and E commerce Web design prices. Email Marketing, Video Marketing & Social Media Marketing. *You need video footage for youtube, website, events, or for presentations. I can handle it all for you. My services come to you at the best rates and highest quality. Contact me with your vision and lets get to work immediately. Your career depends on Getting seen and being heard. You can set up a appointment now to get your footage taken care of. Footage prices start @ $50 for 30 minutes for businesses, reunions, weddings, events, etc. Plus $20 for editing. Get it while its hot! Contact P @ 678.724.2324 More time = Bigger discounts! * This is a good look for businesses also. It helps potential clients decide if they want to do business with your company or visit you establishment. By giving them a inside look, which allows them to make a solid decision to patronize with you in the comfort of their own home. Plus; it also brings your business into the homes of potential clients worldwide. Who can in turn make a mental or written note to stop by when visiting your city. It is a WIN WIN! So feel free to contact me to get your footage today.